A better species inventory on Gaya Island's rich biodiversity will be available soon, thanks to a six-day scientific expedition organised by the state park custodian, Sabah Parks. It is the first such large-scale research effort launched within the proximity of the Tunku Abdul Rahman Park, involving eight government and private agencies, Universiti Malaysia Sabah and 82 foreign researchers. A total of 58 research topics have been proposed covering fauna, flora, marine, community and eco-tourism potentials which is hoped would help the State update its biodiversity data. 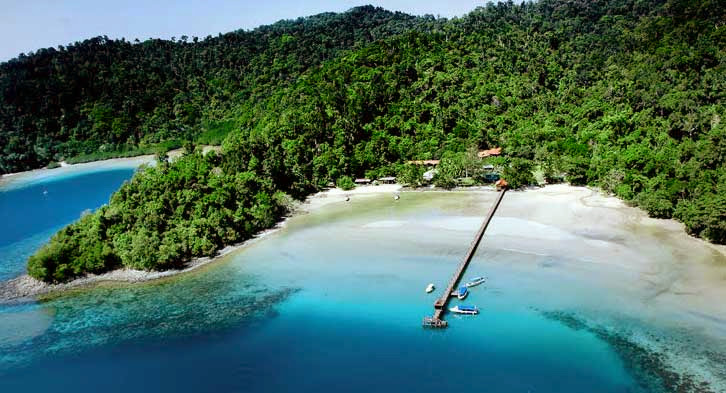 Sabah Parks Director Dr Paul Basintal said Gaya Island, being the largest of the five Islands of Tunku Abdul Rahman Park, is the only place which has dipterocarp trees in its jungle and virgin mangrove all in one place. "Two species such as the 'Hopea philippinensis' and 'Quassia Borneensis' which can't be found anywhere else but in Gaya, he said during the launching of the Gaya Island Scientific Expedition. Dr Basintal said such effort would help determine whether the island's biodiversity was degrading or improved. Meanwhile, Sabah Parks Chairman Datuk Seri Dr Tengku Zainal Adlin said due to the island's rich biodiversity only 10 per cent of island's size are allowed for development. "The mangrove on the island plays an important role in preventing beach erosion and as ground for marine life to breed. Meanwhile, many of the native plants on the other islands have been replaced by the secondary jungle," he said. He said the findings of the scientific expedition will be the basic tools for data compiling and basic development of scientific data for the park. Adlin said the work will be the reference for Sabah Parks to better manage on the islands conservation effort. The findings of the scientific expedition will be available within six months from the date of launch.